Social media can sometimes feel as though it’s taking over the world, but would you believe that 54% of couples use a wedding hashtag for their big day? That’s right; it seems as though social media is the new place to celebrate your ceremony, too. 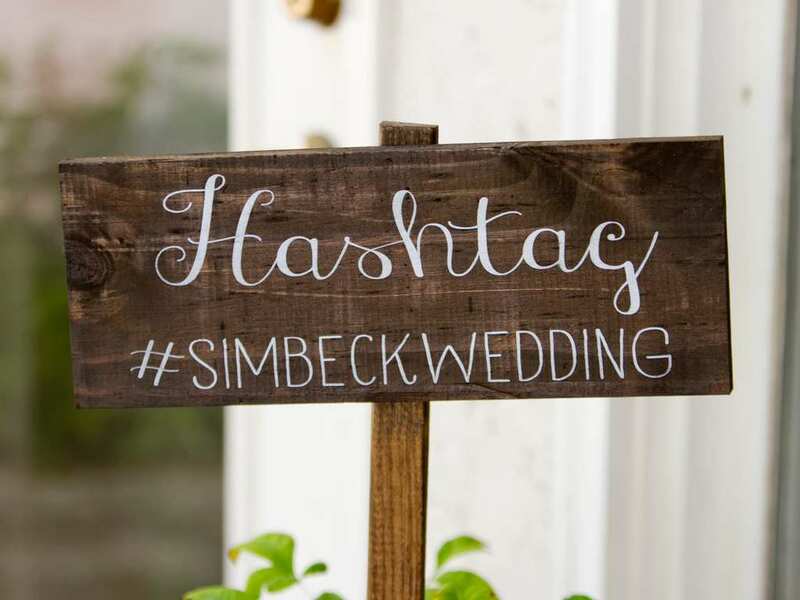 Believe it or not, but it’s thought the best wedding hashtags are 16 characters long. This might seem a lot, but you may soon find yourself running out of letters. Thankfully, making it shorter means it’s likely to be more memorable for your guests. 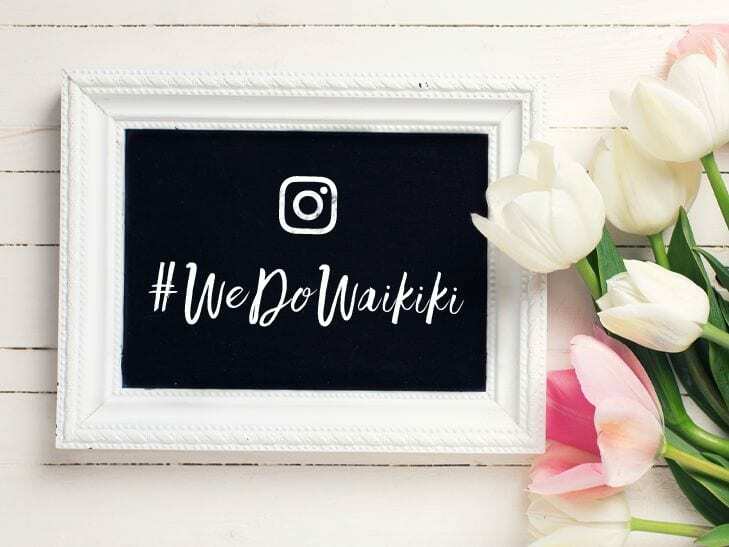 Many of us love a pun or two, and your wedding hashtag could be the perfect time to show off your skills. Using similar sounding words or creative ways to involve your surname could soon see your hashtag game soar to the next level. If you’re stumped for ideas or can’t choose between the perfect hashtags, then why not ask your guests? More heads can often be better, and now’s the time to put their skills to good use, too. Plus, photographers or wedding planners might have a few ideas of their own to add to the mix. Sometimes, simple really can be better. 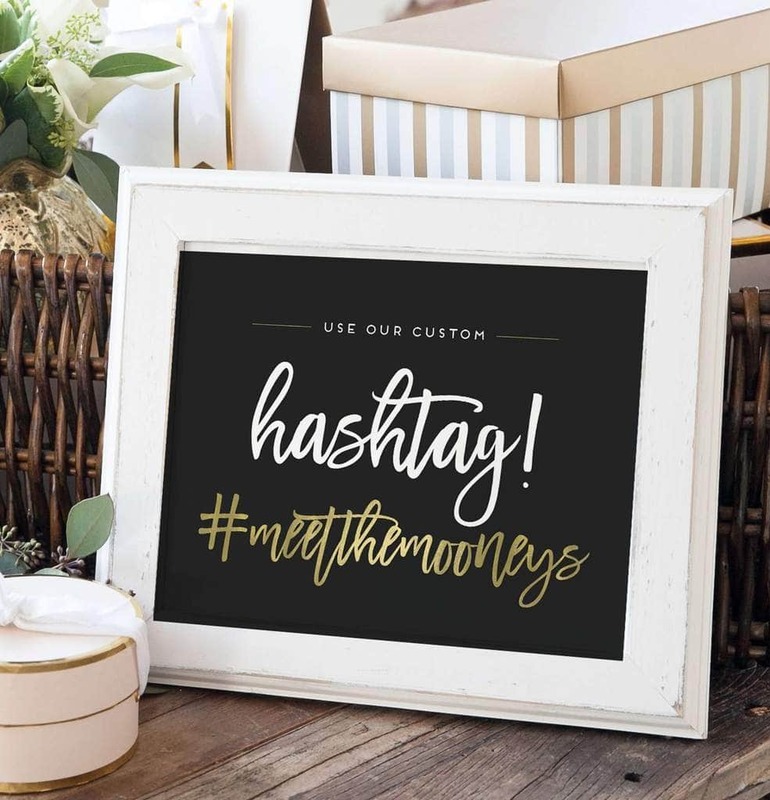 Using both your surnames, alliteration, or focusing on the date can be enough to make your guests remember the hashtag. Plus, experts believe that capitalizing each word makes it stand out more at a quick glance. Creating a distinctive hashtag means it should be easier for you to find your guests’ snaps online. Using one that has been chosen a hundred times before or shows up a ton of other results could make it more difficult to spot your ceremony snaps in amongst the rest. How will any of your guests know to use your hashtag if they don’t know what it is? Some couples love to go big with huge signs around their venue. However, others opt for smaller reminders, such as a welcome board, notices on their wedding tables, drink stirrers, napkins, or menus with their hashtag. Social media can be great to see your wedding for your guests’ point of view. Thankfully, creating an awesome hashtag means you should soon find all of those hidden snaps to relive the day time and time again.